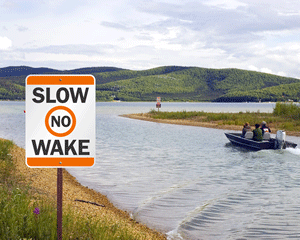 Point out no wake zones to boat riders and remind them to maintain the posted speed limit. 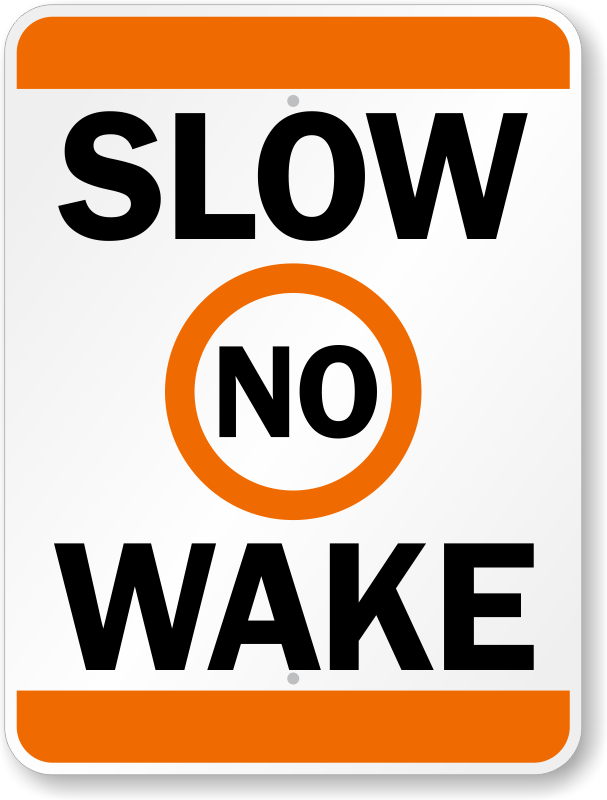 • Our No Wake Signs are made using reflective, heavy-duty aluminum. 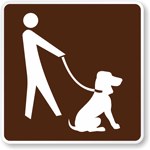 Aluminum is rust-proof while the reflective material makes the sign easy to view during the day and the night time. • Made using the best quality materials and 3M outdoor digital inks, signs last longer than 10 years outdoors. Just What We Were Looking For And They Came Pretty QUICK. They Were The Right Size And Looked Better In Person. 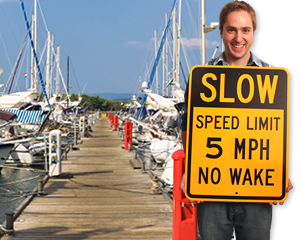 We Will Definitely Be Ordering So More/Different Signs From Here. Beautiful graphics and sturdy plates. Just what I needed, and got them for a great price. Perfect size and easy to hang.